NOTE TO SUBSCRIBERS: As many of you hit subscription renewal time, we’re in the process of upgrading our subscription system. In the meantime, if you’re experiencing difficulty renewing your existing subscription, please click here to renew. Thanks for your patience! If you’ve already renewed, thank you for your support. Please tell a friend or colleague about NERW, and suggest they subscribe, too – every bit of your support is essential as we continue in our 18th year of independent service to the broadcast community! 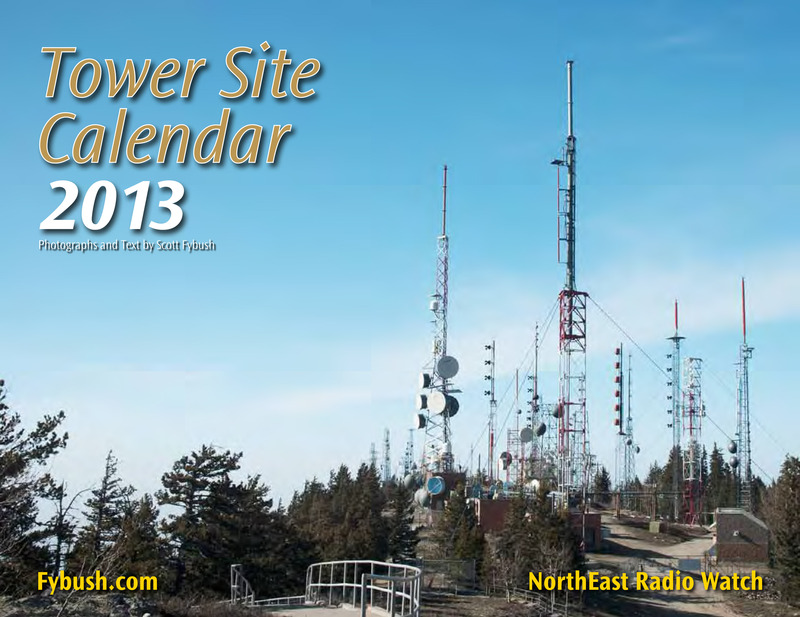 And if you haven’t yet ordered your 2013 Tower Site Calendar, what are you waiting for? Order today and you can still have yours by Christmas, when you visit the Fybush.com Store! *Every broadcaster – every newsperson, anyway – dreams of the day when the “big story” will hit, when the nation’s eyes will land on their market for a few hours or a few days and they can show their skills to a larger audience. But it’s safe to say that no broadcaster, no newsperson, dreams of finding themselves where newspeople did on Friday as the tragic news began to emerge from Newtown, CONNECTICUT. There’s nothing at all that we can say about that event itself (as we look across the room at our own young children) that hasn’t been said elsewhere, and better. And it happens that your editor was traveling for much of the day on Friday and missed the initial coverage. The best we can offer, then, is some brief observations of the coverage we’ve seen and heard about. The TV stations in the Hartford/New Haven market, as well as those from nearby New York City and other surrounding markets, went – and have remained – wall-to-wall with their coverage, and for much of Friday the networks followed suit, preempting most of the daytime hours and carrying specials in the evening. On radio, several stations in the region went wall to wall with their coverage right away, most notably Hartford’s WTIC (1080) and New York’s all-news WCBS (880) and WINS (1010). You’d expect the all-news stations to do that, of course, but it was more of a surprise to find New York’s WEPN-FM (98.7) and WFAN (660) breaking from their sports formats to take calls. On the FM music side, many stations in the region also dropped format and kept morning teams in place to talk to listeners and relay information, including Clear Channel’s WKSS (95.7) from Hartford and WKCI (101.3) from New Haven. We note, too, that at WPLR (99.1 New Haven) and WFOX (95.9 Norwalk), the morning team of Chaz and AJ dropped plans to be on vacation this week; instead, they’re sticking around to help with extended coverage of the aftermath, including a live broadcast last night of the Newtown memorial service. *At the start of 2012, the talk radio market in eastern MASSACHUSETTS was a crowded one indeed. 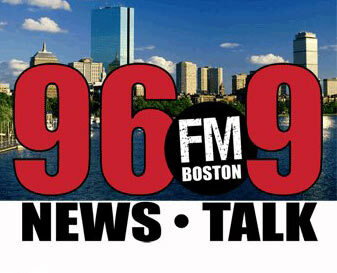 Entercom’s WRKO (680 Boston), with three decades in the format, squared off against its Greater Media FM competitor of more than a decade, WTKK (96.9 Boston) and a newer entry from Clear Channel, WXKS (1200 Newton). Despite pulling big-name hosts including Rush Limbaugh over from WRKO, WXKS didn’t make enough of a dent in the market to survive, and it soon flipped to a low-budget syndicated comedy format, returning Limbaugh to WRKO and giving that station a shot in the arm as it ramped into a busy election season and launched a new morning show. That left Greater Media’s WTKK as the ratings laggard in the format, and as 2012 draws to a close, it appears the company may be ready to pull the plug on “NewsTalk 96.9.” That’s what our colleagues over at RadioInsight have pieced together from a series of new domain registrations made over the last few weeks. What do “969theBeat.com,” “969BostonsBeat.com” and other similar domains point to? Insight’s Lance Venta believes – and Greater Media hasn’t exactly denied – that the next move for 96.9 will be some sort of rhythmic, urban or top-40 format. That’s also a crowded arena, up against Clear Channel’s powerful “Kiss”/”Jam’n” combo and CBS Radio’s more recent entry, WODS (Amp Radio 103.3), but it offers a much more appealing demographic for sales than the aging talk audience does. There’s a talent pool available for a new rhythmic launch, in part thanks to recent Clear Channel exits: longtime WJMN morning co-host Pebbles is gone from “Jam’n” in the latest round of cuts there, and we’re not alone in noting that longtime WJMN/Kiss programmer “Cadillac Jack” McCartney is also on the market after his recent departure from Clear Channel in New York. We’ll be following this story closely during the holiday weeks ahead; stay tuned for updates here and on our Facebook and Twitter feeds. *Over at WODS, PD Dan Mason Jr. has made his first big programming hire as he prepares to transition “Amp” from jockless to staffed. Joe Breezy comes to Boston from Clear Channel’s WWVA-FM in Atlanta, with stops before that in Phoenix and Sacramento; he started on Thursday in afternoon drive and is also Amp’s music director. Downstairs from “Amp,” CBS Radio’s “Sports Hub” (WBZ-FM 98.5) has picked a replacement for Damon Amendolara in the evening talk chair. Adam Jones moves over from ESPN Radio, where he was anchoring weekend shifts and had hosted an online talk show on ESPNBoston.com. In his new role, Jones will be the local lead-in for Amendolara’s new all-night national show on the CBS Sports Radio Network, debuting January 2. *More New England Radio People on the Move: Jessica Tyler is out as music director/morning co-host at Hall’s WCTK (98.1 New Bedford) in the Providence, RHODE ISLAND market. Tyler had been with “Cat Country” since 2007. Up on the NEW HAMPSHIRE seacoast, JC Haze adds afternoon duties at WBYY (98.7 Somersworth) to his weekend/fill-in shifts at Boston’s WROR (105.7). Out on Nantucket, Jeff Shapiro has applied to boost power on his new WAZK (97.7 ACK-FM). It’s now running 1.75 kW/236′, but it’s applying to go up to a full 6 kW/236′ from the same site. another licensee connected to Shapiro, Nantucket Public Radio, has also applied for a power increase: it wants to boost translator W300BE (107.9) on Martha’s Vineyard from 9 watts to 250 watts. In the process, the translator has also changed primary stations, shifting from Nantucket Public Radio’s WNCK (89.5 Nantucket, itself a relay of Boston-based WCRB 99.5) to WMVY (92.7 Tisbury), the Vineyard-based station that’s in the process of being sold to Boston public broadcaster WBUR-FM (90.9). There are new calls on the way for the 92.7 signal, too: WBUR has applied to change 92.7 to “WBUA” when it takes over. *The first of several prominent obituaries in this week’s column comes from western Massachusetts, where we’re saddened to share news of the death of Tom Jaworski, known to generations of listeners in the southern Berkshires as “Tom Jay” on WSBS (860 Great Barrington). From 1967 until 2008, Tom was WSBS’ news director and at times its chief engineer as well. He suffered a heart attack on December 6 and never recovered, dying last Wednesday (Dec. 12) at a hospital in Springfield. Jaworski was 70. *Down the road in Waterbury, Connecticut, a former owner of several area broadcast stations has died. Preston Gilmore became part of the WATR (1320 Waterbury) family in 1950 when he married Florence Thomas, the only child of WATR founder Harold Thomas. Under Gilmore, WATR grew to include not only the original AM station but also an FM station (now WWYZ 92.5) and a TV outlet (originally WATR-TV 53, now WCCT-TV 20), as well as a second AM station, WNAB (1450 Bridgeport, now WCUM). The company eventually sold off everything but the original AM station, now in the hands of Gilmore’s sons Mark and Steven. Preston Gilmore died December 10th, at age 89. *How about a surprise weekend format change? Hall Communications was secretive indeed about its flip in the New London market, where midnight this morning brought the end of the long-running oldies format on “Kool 100.9” WKNL, which relaunches as hot AC “Roxy FM.” Much more on this one as the week progresses, no doubt. *In MAINE, there’s another format change on the way in the Bangor market in the new year. 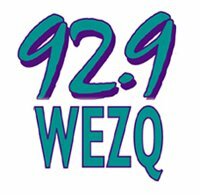 We already know something new is coming to Stephen King’s WZLO (103.1 Dover-Foxcroft, ex-WZON-FM) when the Christmas music ends, and now there’s word from Townsquare that it will flip WEZQ (92.9 Bangor) from AC to sports as “92.9 the Ticket” on January 1. Dale Duff and Clem LaBree will host mornings, with ESPN Radio filling the rest of the day. The new “Ticket” will also carry Boston Bruins hockey (at least in theory) and Patriots football. In Portland, Mike Audet departed from WGAN (560) in style last week, ending a career in news that started at at Waterville’s WTVL (1490) all the way back in 1954 and eventually took him to just about every Portland newsroom – WLOB, WCSH radio, WGAN, then three decades as morning newsman on WPOR before returning to WGAN as afternoon news anchor. Audet’s retirement was marked not only on WGAN but on sister station WYNZ (100.9) as well; click here to hear the audio from Audet’s retirement-day chat with WYNZ morning man Chuck Igo. News Directors on the Move: Mimi Strawn has departed WGME-TV (Channel 13) in Portland, two years after arriving at the CBS affiliate. No replacement has been named yet. *Back to the Granite State: in the Lakes Region, WWHQ (101.5 Meredith) is now simulcasting Great Eastern sister talk station WTPL (107.7 Hillsborough), but don’t get too used to it: the station has requested new calls WZEI, which would seem to indicate an upcoming flip to the Boston-based WEEI sports network. Great Eastern has been busy with its new stations: it applied to the FCC last week to officially assume control all of the signals owner Jeff Shapiro had acquired from Nassau through another of his operating companies, Vertical Capital LLC. And Shapiro’s been occupied on the engineering front, requesting power boosts at two of the former Nassau signals. At WFYX (96.3 Walpole), it’s an application to go from 320 watts to 600 watts, still directional at 407′ above average terrain without a site change. Up in the Upper Valley, it’s WHDQ (106.1)’s translator W294AB (106.7) that wants to go from 14 to 100 watts at its current site just east of Lebanon. *Remember the big story three years ago about a very creative attempt to get new TV signals on the air in the New York City and Philadelphia markets by way of an obscure piece of legislation guaranteeing VHF allocations to the states of NEW JERSEY and Delaware? PMCM LLC, an arm of Jersey-based Press Communications, had cannily noted that the DTV transition moved both states’ lone commercial TV allocations over to the UHF spectrum, leaving open the possibility of invoking Section 331 of the Communications Act. 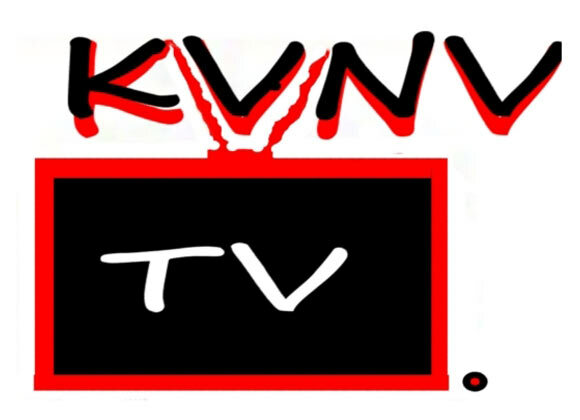 That’s the bit of legislation that was inserted back in the 1980s to allow RKO to sell WOR-TV (Channel 9) by changing its city of license from New York to Secaucus, N.J., where it became WWOR- and with WWOR now on RF channel 38, Press applied to move KVNV (Channel 3) from Ely, Nevada to Middletown Township, N.J. (with a transmitter on Manhattan’s Four Times Square) and KJWY (Channel 2) from Jackson, Wyoming to Wilmington, Delaware (with its transmitter in Philadelphia’s Roxborough tower farm). The FCC denied the applications, ruling that “reallocation” implied that the new allocation be mutually exclusive with the old one. That was indeed the case with WWOR, but would not have been the case with KVNV and KJWY. PMCM pushed for a ruling by the full Commission, which also turned down the applications – and in the meantime, the Media Bureau went ahead and created its own new VHF allocations in New Jersey and Delaware at less-favorable locations for serving adjacent big markets. One of those signals, WACP (Channel 4), is now on the air from Atlantic City. PMCM, meanwhile, went to the courts for relief, and last week a federal appeals court in Washington agreed with its interpretation of Section 331, remanding the case to the FCC with an order to approve the KVNV and KJWY moves. *Nearly two months after Hurricane Sandy’s aftermath devastated big swaths of New Jersey and NEW YORK, several signals remain silent in the region. We didn’t hear much about Staten Island’s WSIA (88.9) in the weeks after the storm, but it turns out the station at the College of Staten Island has been beset by power problems that it says have made a return to the air “difficult and elusive.” The problem is downed power lines at WSIA’s Todt Hill tower site, where the station tells the FCC it’s dependent on its landlord to negotiate with utilities to restore service that would allow WSIA back on the air. Also still silent is WUSS (1490 Pleasantville), in the hard-hit Atlantic City area. *Radio People on the Move: Thea Mitchem is inbound to the management suite at Clear Channel New York to serve as the cluster’s VP/Programming, moving up from her current role as president/market manager at Clear Channel in Washington and Baltimore; internally, Bernie Weiss has been promoted to VP/Sales at the cluster. Down the street at CBS Radio, Dave Stewart has a new gig on the overnight shift at WCBS-FM (101.1), returning to the timeslot he occupied for many years uptown at WPLJ. And the all-star roster of engineers at CBS on Hudson Street just added another one last week: Jeff Smith spent many years on the engineering team at Clear Channel and then a little while with Merlin’s ill-fated WEMP (101.9), and now he’s followed the 101.9 signal into the CBS fold. SUBSCRIBER BONUS: Veteran New England radio man Clark Smidt took a day trip down to New York City on Friday to attend the NYMRAD Holiday Party. He’s written an exclusive summary for NERW readers, complete with insight from the city’s top sales executives on what lies ahead for 2013, and you can find it right here! Upstate, we send our best wishes to Tommy Lee, who’s off the air from his usual morning shift at WRWD-FM (107.3 Highland) as he battles illness. Here in Rochester, a change close to home: at year’s end, Julie Philipp will depart her post as director of news and public affairs at WXXI radio and television, moving to a new post with the University of Rochester Medical Center. The usual disclaimers apply here…along with the very best of wishes to your editor’s soon-to-be-former boss! In Dunkirk, WDOE (1410) has completed a big translator upgrade: the former W236BJ (95.1) has moved to 94.9, boosting power from 10 watts to 200 watts in the process. *Ready for a reunion? There are two of them already on our calendar (our Tower Site Calendar, of course!) for 2013. 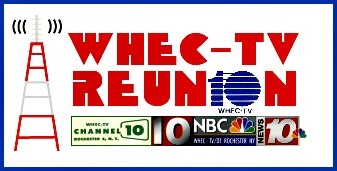 Here in Rochester, current and former staffers at WHEC-TV (Channel 10) are planning a big event to mark the station’s 60th anniversary on the TV dial next year. The WHEC Reunion will take place July 19-21, and organizers Howard Cohen and Tina Stevens want to hear from anyone who’s toiled at 191 East Avenue (or maybe even back in the 40 Franklin Street days?) at www.whecreunion.com. Down the road in Binghamton, the Binghamton Broadcasters Reunion rolls around every two years, and that means the planning is well underway for the 2013 edition. It will happen Saturday, September 14 at the Binghamton Riverwalk Hotel, and you’ll be hearing much more about it as that date grows closer. *There’s a big opening for market manager at Townsquare Media’s NEW JERSEY stations: Zoe Burdine-Fly, who’s been regional VP/market manager at that cluster, is leaving early in 2013 to take over as general sales manager at Clear Channel in Chicago. No replacement has yet been named. *The week’s big news from PENNSYLVANIA is a surprise talent departure in Philadelphia, where Chio said goodbye to his morning audience on Beasley’s WRDW-FM (Wired 96.5) Friday morning at 9:45. Chio’s departure from what had been the “Chio, Shila and Tingle in the Morning” show leaves co-hosts Shila and Tingle handling things solo for now. On TV, Jim Driscoll moves down the turnpike from Fox-owned MyNetworkTV outlet WWOR-TV (Channel 9) in Secaucus, N.J. to Fox O&O WTXF (Channel 29) as the latest occupant of the news director’s chair. Driscoll replaces Steve Schwaid, who left to become a consultant over the summer. *The Radio Survivor blog has become an invaluable first line of alert for college radio stations that could fall prey to a sale, and this week it reports that WPTC (88.1 Williamsport) is in danger. The station’s licensee, Pennsylvania College of Technology, is dropping its Mass Media/Communication program after the spring semester, and students at Penn College have started a petition drive in hopes of persuading the school to keep the station going even without an academic program supporting it. A correction from last week: in the breakup of the former Newport Television group, it’s Sinclair and not Nexstar that’s now running CBS outlet WHP-TV (Channel 21) in Harrisburg and its sister CW station, WLYH (Channel 15). And an obituary: Dennis Eberly was chief engineer at Lancaster’s WLAN/WLAN-FM through most of the 1980s and for a decade before that at crosstown WIOV. In recent years, Eberly had been general manager at Living Waters Theatre and Sight & Sound Ministries. He died December 10 at age 65. *A station sale in eastern CANADA leads our news on a slow week north of the border: Newcap is taking full control of CKCH (103.5 the Eagle) in Sydney, Nova Scotia, four years after the station launched with Newcap as a 29.9% minority partner. Within the next 60 days, Newcap expects to acquire the remaining 70.1% of CKCH from its partner there, Barry Maxwell; no price has been announced yet. Newcap also owns CHRK (101.9 the Giant) in Sydney. In Toronto, Craig Venn has been named the new morning man alongside Wendy Boomer at Oshawa-based CKGE (94.9 the Rock), effective January 7. Venn returns to Toronto (where he’d worked at Q107 and CFNY) after several years in Windsor on CKUE (95.1). And before we get to the Year in Review, it’s our annual NERW Bookshelf, where we feature some of the year’s new and notable volumes about radio and TV in our region, or authored by radio and TV people in the region. You can read it starting midday Monday…check back right here! *A decade after Fox Television Stations created NEW YORK City’s first TV duopoly, pairing WNYW (Channel 5) with WWOR-TV (Channel 9). CBS is poised to add a sister station to its own WCBS-TV (Channel 2) with the pending acquisition of Long Island-based independent WLNY-TV (Channel 55). Only far-reaching parts of New Jersey (Monmouth/Ocean, for one) are outside WLNY’s reach for now, but that too may change once CBS takes over. What does the Eye plan for its new acquisition? In most of the markets where CBS operates duopolies, the second station carries the CW or MyNetwork TV, but those aren’t options in New York. So the model might be Los Angeles, where KCBS-TV (Channel 2) operates alongside KCAL-TV (Channel 9), an independent station that’s very heavy on local news and sports. More local news is also what WCBS-TV has been promising for its “CBS New York Plus” subchannel that’s slated to debut next year on 2.2. Will some of that content make its way to WLNY as well? We wouldn’t be surprised – and we’d also expect to see WCBS-TV’s main signal duplicated on an over-the-air subchannel of WLNY; its RF 47 DTV signal covers most of Long Island, an area where over-the-air viewers (especially in eastern Suffolk County) can’t easily see WCBS-TV’s main signal from the Empire State Building. One more note here, courtesy of our friend Tom Taylor over at Taylor on Radio-Info: by acquiring WLNY, CBS will hit the market cap for combined radio and TV in New York, meaning it wouldn’t be able to add a fourth AM or FM to its existing three AM/three FM radio cluster. *There’s just one big story upstate this week, and it’s the latest chapter in one of the most truly bizarre sagas we’ve chronicled in two decades of writing NERW. Back in 2006, someone claiming to be “Joann Nicola Lutz Distefano Phillips,” a frequent and colorful character on area message boards, took what had been a harmless claim that she owned WJJL (1440 Niagara Falls) and turned it into an actual FCC license-renewal filing for the station, which in reality belongs to M.J. Phillips, debtor-in-possession. Working at its usual glacial pace, the FCC eventually sorted out the situation, granting the legitimate M. J. Phillips renewal application and denying the “Joann” application on the grounds, reasonably enough, that an application has to be filed by an officer of the licensee, which “Joann” was not. Now she’s back: last week, the FCC’s automated system processed – indeed, accepted for filing – two new applications involving WJJL, one styled as a transfer of control and the other as an assignment of license. This time, applicant “Joann Nicola Lutz Dedistefanophillips” gave the Commission a Brooklyn address that appears to be a homeless shelter, reported that she didn’t have to pay an application fee because “M. John Phillips is responsible for all my bill payments,” and claimed she’d been arrested after the 2006 application and spent 43 days incarcerated in Erie County. *There’s late word that one of the Garden State’s oldest FM stations has completed its transmitter move across the Hudson River: Newark Public Radio’s WBGO (88.3 Newark) has filed for a license to cover from its new transmitter facility high atop the 4 Times Square skyscraper on the west side of Manhattan, trading some of its coverage into central New Jersey for significantly increased signal over New York City, Westchester and Nassau. WBGO’s new facility is 2.5 kW/883′, directional, reducing power but significantly increasing antenna height from WBGO’s old 4.5 kW/430′ non-directional facility in downtown Newark. That old site will stay in use as an auxiliary with 1200 watts. *On the North Shore of MASSACHUSETTS, Westport Communications’ WBOQ (104.9 Gloucester) wants to move inland. The station has applied to relocate its transmitter from its present site in a Gloucester industrial park to a new home on a cell tower off US 1 in Topsfield. If granted, the move would take WBOQ down in height (from 446′ to 321′) and up in power (from 3800 watts to 6000 watts, with a directional antenna slightly nulling the signal to the southwest to alleviate a short-spacing to WWLI (105.1) in Providence, RHODE ISLAND. The move inland won’t do much to improve WBOQ’s signal toward the core of the Boston market, but it will significantly improve the station’s reach toward the Merrimack Valley, adding 60 dBu coverage of Haverhill, Lawrence and parts of Lowell. *The vacant 88.1 slot formerly occupied by Toronto’s CKLN will be filled soon: today’s the deadline for applicants to ask the CRTC for a new license on CKLN’s old frequency, and the Globe and Mail reports at least three parties are interested. New Ryerson Radio is a student/community group at CKLN’s former home base, but it’s promising to avoid the infighting and management problems that led to CKLN’s license revocation. The Globe says Evanov’s “PROUD FM” (CIRR) is applying to upgrade from its present limited signal on 103.9, which would free up the 103.9 channel for a new occupant, while the Christian broadcasters behind Barrie’s CJLF (100.3) are looking for a foothold in the big city as well. 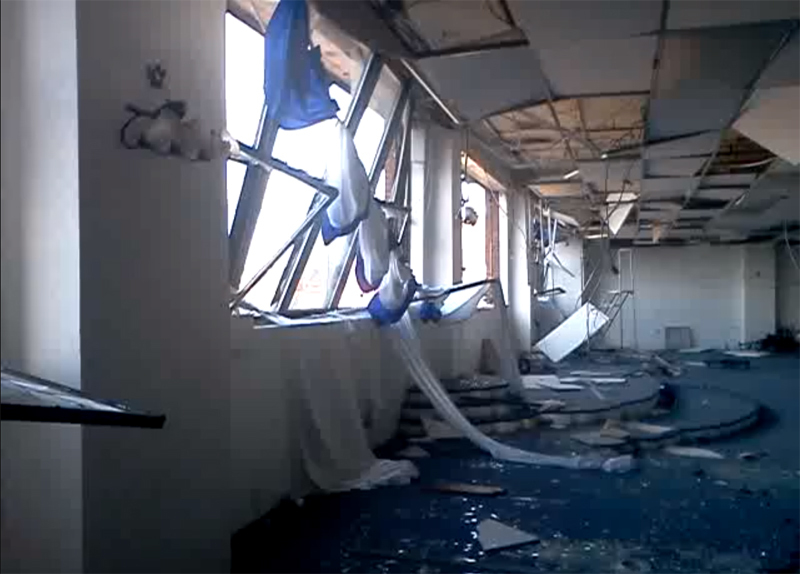 *The weekend’s icy, windy storm in northeast PENNSYLVANIA destroyed one Scranton/Wilkes-Barre TV tower early Sunday morning and caused serious damage to several others. Just before 7:00 Sunday morning, the 823-foot tower of ABC affiliate WNEP-TV (Channel 16) atop Penobscot Mountain, east of Wilkes-Barre, collapsed under the weight of ice that had formed there overnight. As it fell, the tower’s guy wires apparently hit the next tower over on the mountain, belonging to public broadcasters WVIA-TV (Channel 44), WVIA-DT (Channel 41) and WVIA-FM (89.9), toppling the upper portion of that tower and taking those TV/DT signals off the air. Within a few hours after the collapse, engineers for WNEP and WVIA were making their way through the wreckage and the debris to figure out what could be salvaged and what was beyond hope. For WVIA, an analog TV signal was restored at midday Sunday from a shorter auxiliary tower next to the damaged main tower. WVIA-DT remained off the air, and WVIA-FM remained on the air from the remaining portion of the damaged tower. WNEP, meanwhile, briefly replaced the rotating wheel of news repeats on its DTV subchannel (and on a stream on its website) with its regular analog-feed programming, providing a signal that area cable companies could pick up in place of the destroyed analog signal. By Sunday afternoon, WNEP programming had been restored to cable systems in much of the station’s wide-ranging coverage area, while its “newschannel” feed was back on 16.2. Also silenced in the WNEP collapse was Wilkes College’s WCLH (90.7 Wilkes-Barre), which had its antenna on the WNEP tower. WCLH is still programming via a webstream at wclh.org until a temporary replacement site can be built. Here in Rochester, one of the city’s top TV reporters is moving on. Dave McKinley came to WROC-TV (Channel 8) from WHAM (1180) in 1999, bringing with him an encyclopedic knowledge of local history that he soon put to good use in his weekly “News 8 Then” segments, digging through WROC’s copious archives to pull out forgotten bits of film and video from days gone by. Dave’s heading west at year’s end, joining the reporting staff at WGRZ-TV (Channel 2) in Buffalo (where he went to college and began his radio career), and he’ll be missed, dearly. *A veteran CONNECTICUT morning man lost his job last week. John LaBarca came to WICC (600 Bridgeport) from WMMM (1260 Westport) in 1989, and had been hosting the station’s morning show and its Sunday “Italian House Party” ever since. He tells the Connecticut Post that he was on vacation when station management came to his house on Thursday to inform him that he wouldn’t be returning. LaBarca admitted to the Post that there had been personality conflicts with WICC GM Ann McManus, and operations manager Curt Hansen told the paper that there had been long-running “personnel issues” with LaBarca. Replacing LaBarca in mornings is Tony Reno. *Yet another AM station in CANADA has made the move to FM. CKEC (1320 New Glasgow NS) flipped the switch on the new CKEC-FM (94.1) at 9:41 AM last Tuesday (Dec. 11). The new “East Coast 94.1” is playing hot AC, and the AM signal will go silent in three months, leaving nine AM stations in the province – and five of those are planning FM moves as well. *And since nobody else is going to do it, we close this week’s NERW by recalling that it was 117 years ago tomorrow that Edwin Howard Armstrong was born in Yonkers, New York. So raise a birthday toast to one of radio’s great inventors tomorrow, won’t you? The big story this week comes from the snowy northern reaches of NEW HAMPSHIRE — but it’s a precedent that broadcasters all over the country could soon be studying as they fight local zoning boards standing in the way of broadcast tower construction. Longtime NERW readers are already familiar with Bob Vinikoor’s struggles to build WQTH (720 Hanover), the construction permit he was granted five years ago for a 50,000 watt daytime, 500 watt nighttime signal that would be a counterpart to his existing WNTK (1020 Newport), WNTK-FM (99.7 New London) and WNBX (1480 Springfield VT). The station would use four 266-foot towers on Etna Road in Lebanon, in an area zoned for industrial use. But Vinikoor ran up against a Lebanon ordinance that prohibits any broadcast tower higher than 42 feet — and a city government that was unwilling to accept the laws of physics (and FCC minimum efficiency requirements) that dictate that no station operating on 720 can possibly use a tower that short. Several years of court battles ensued, including a setback last year when a state trial court found in favor of the city and refused to grant summary judgment in Vinikoor’s favor. The New Hampshire Supreme Court accepted his appeal, though, and on September 11 Vinikoor and attorney Fred Hopengarten of Lincoln, Mass. appeared before the court for oral arguments, with Chris Imlay, lawyer for the Society of Broadcast Engineers, submitting a friend of the court brief in support of Vinikoor. The court issued its ruling on Thursday, and it’s a pretty clear victory for Vinikoor and for the radio industry in general. In particular, the court agreed with Vinikoor that the city’s laws prohibiting a 266-foot tower are in conflict with the federal regulations that require a tower of that height for a station on 720 — and that simply arguing that Vinikoor is “not required by federal law” to build the station doesn’t give the city’s regulations precedence. Vinikoor’s next step: returning to the trial court for an actual court order, after which he’ll be free to apply for a building permit and build the most powerful AM signal (at least during daylight hours) in northern New England. Jukebox Radio is off the air in northern NEW JERSEY and Rockland County, NEW YORK, but NERW’s ears down that way report that the oldies/infomercials format continues for now on primary WJUX (99.7 Monticello). Why was the plug pulled on the WJUX feed to translators W232AL (94.3 Pomona NY) and W276AQ (103.1 Fort Lee NJ)? The Bergen Record reports that Jukebox owner Gerry Turro received a letter from the FCC in mid-November raising questions about a loan Turro made to the former business partner who purchased the WJUX studios from him. The FCC says the loan creates an impermissible business relationship between the primary station and the two translators, which operate outside WJUX’s primary contour. While Turro has won previous fights to keep the unusual translator network (fed from studios in Dumont, N.J., near the Fort Lee transmitter) intact, he tells the Record, “I’m sorry, I no longer feel like fighting.” Turro and Wesley Weis, who owns WJUX, are reportedly trying to sell the three transmitters to a noncommercial operator, which would be able to legally operate the translators and the primary together. After six years of morning drive talk radio in Boston, Marjorie Clapprood is leaving the airwaves. Clapprood’s contract with WRKO (680) is up at the end of December, and is not being renewed. Her last show was this morning. Clapprood started out on WHDH (850), co-hosting with Pat Whitley. Their show moved to WRKO in 1992 when the stations came under common ownership (ARS, soon to be CBS), and with Whitley’s departure this past spring, the show was re-named “Clapprood and Company.” Current co-host “Tai” will stay with WRKO, possibly filling the 10 PM to 1 AM slot now held by Jeff Katz, who moves to mornings to replace Clapprood. As for Clapprood’s future, she tells the Boston Globe she’ll work on a book while considering returning to law school or to television. Plenty of news this week from NEW HAMPSHIRE, starting with the “other shoe dropping” in the ARS-Capstar deal on the Seacoast. Earlier this fall, Capstar picked up oldies WQSO (96.7 Rochester) and CHR WERZ (107.1 Exeter); now AM sister stations WZNN (930, CP 1700 Rochester) and WMYF (1540 Exeter) are being added to the deal, for a price reported at between $3 and 6 million. An upstate NEW YORK daytimer is trying again to find a new frequency. WSIV (1540 East Syracuse) has withdrawn its application for 1500 watt daytime-only operation on 670 kHz. It’s apparently part of a deal with Binghamton’s WINR (680), which now gets the go-ahead to raise its daytime power from 1 to 5 kilowatts. WSIV has applied for 1500 watts, daytime-only, on 720 kHz instead. WYSL (1040) in Avon has finally turned on its night power, several months after moving to the “24-hour” 1040 frequency from its old daytime-only spot on 1030. WYSL is staying on until 6:30 pm nightly with a simulcast of WOKR (Channel 13)’s newscasts. Radio with Pictures: Kevin O’Neill, the “Why Guy” feature reporter at Buffalo’s WIVB (Channel 4), is taking his dispute with the station very public. In an interview with the Buffalo News, O’Neill said this week that he wants to break his contract with WIVB because he’s not being paid enough — and he wants to take job offers in New York or Miami. In Syracuse, W18AL (Channel 18) is back with a simulcast of The Box programming from W35AQ (Channel 35). And as Lowell Paxson gets ready to launch his PaxNet next August, he’s changed the calls on more than a dozen of his TV stations. WAQF (Channel 51) Batavia-Buffalo-Rochester will sign on under the WPXV call letters instead if the FCC approves. first job in radio.. He will be sadly missed. It is unfathomable the pain that the families of the lost in that elementary school must be experiencing. It’s now a few days into the following week, the story is still fresh, but I have to think that as Christmas approaches, then New Years Eve and then every single birthday, first day of school, school play, will bring it all back. Radio is at its best in tragedies. Where visual replays of tragedies serve little later than to push Prozak stock prices, radio is where the stories are told. Or they can be told – if radio stations are willing to spend money on shoe leather and three minutes an hour on the clock. I’m surprised to see W300BE 107.9 on Martha’s Vineyard applying to increase power. I’m pretty sure that a few years ago, they had to go down to their current level due to complaints from Kiss 108 listeners. I’d expect the same thing will happen again. Also, I’m pretty sure they had been relaying the WCAI stations recently, not WNCK (WCRB).